King International crystal-clear Mugs are the most durable, most beautifully designed and best-manufactured glassware on the market. 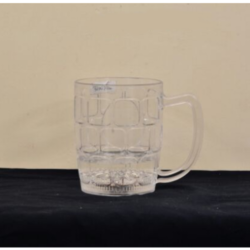 Bored on ceramic mugs Why not try our transparent glass mug! This are one of a kind glass mug that can be personalized. Put your designs on it and give it as gift to your love ones. Customized clear mug is a unique photo gifts that will surely stand out. Use it as gifts for any occasion. 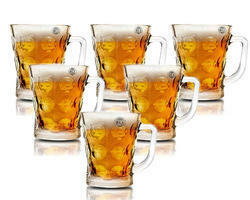 We are offering Glass Mug to our clients. 1 Litter Glass with 4 Glass Mug. fusion of stainless steel with glass with attractive pipe handle gift ware set pack in gift box 2 pcs.